Like most other Mums out there, time seems to be a pretty rate commodity these days & I don’t have endless hours to create insta-worthy lunches. 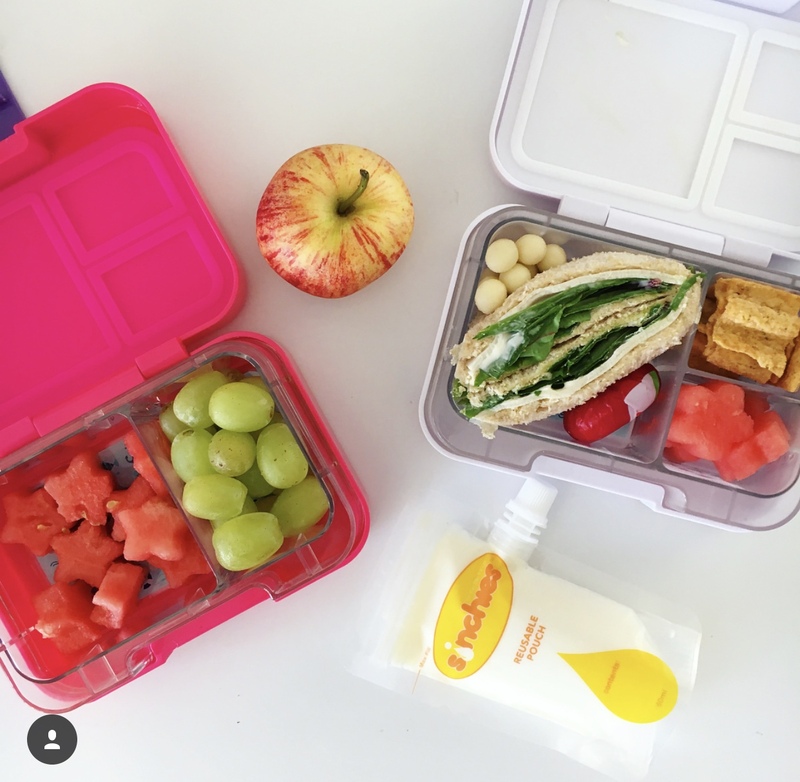 Instead, all I want is a quick & healthy lunchbox that takes me no more than 5 minutes to put together so I have created the must have tips to create a healthy lunch in 5 minutes. 5 minutes…as if, I can hear you say. But I promise it’s possible. Making this happen isn’t hard but there are a few key essentials. Here is my must have tips to create a lunch in no time that you kids will enjoy and you’re happy sending to school. The lunchbox, or lunch bag is this part is key. 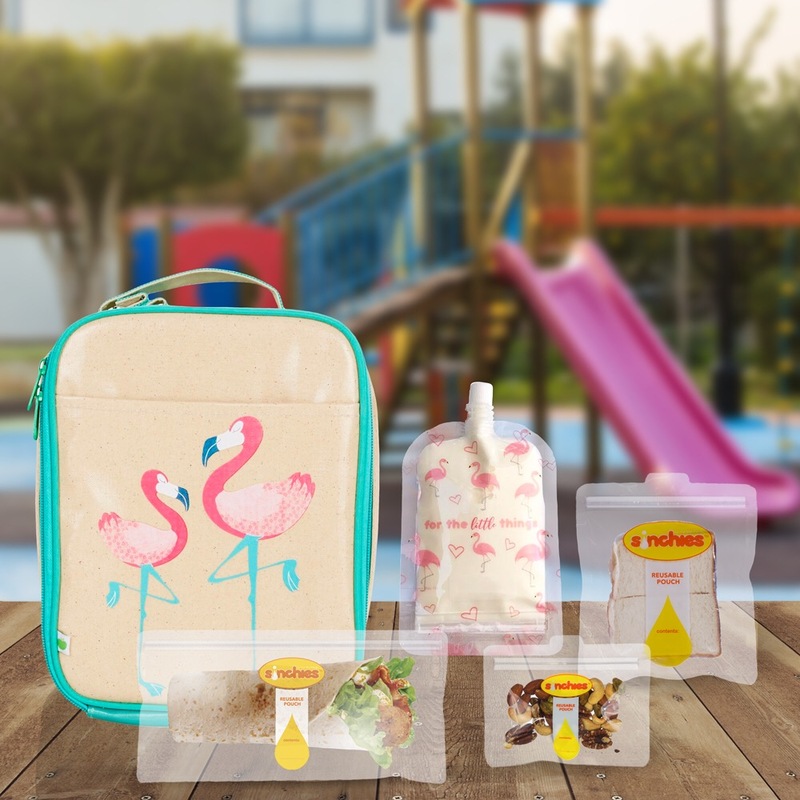 We’re big fans of the bento styles lunchboxes, eg Yumboxes, Go Green, Bentgo. They’re a bit more expensive than traditional lunchboxes but have so many benefits that make them worth every cent. They’re sectioned so you don’t need 100 tupperware containers (with lost lids) or miles of clingwrap and disposable ziplock bags. If using an insulated lunch bag Sinchies reusable pouches are the perfect fit for this – coming in Sandwich size, Wrap Size and Snack size and the spout pouches which are great for yoghurts and smoothies. They’re also leak-proof so no more messy spillages in the school bag. Purchase fresh fruits & vegetables each week to fill majority of the lunchbox. Simple, quick, nutritious & healthy. Buy a few different fruits & veggies so you can swap throughout the week. Fruit with yoghurt dip is great and so is dip with carrots, cucumber and capsicum! Frozen veggies such as pea & corn or edamame are also good options. Variety is key! I always finish the lunchbox with a healthy snack. Finding snacks for kids that are heathy & they enjoy is not easy and also can be super expensive. Majority of the time they come in big packs too and you’re not actually sure if your kids like them or not! So you can use our expertise – Lunchbox Pals have your months worth of healthy snacks delivered to your door. Having a snack pack on hand in the pantry not only saves you time but gives you the peace of mind that your kids are eating well. The final piece of this very simple puzzle is a Sinchies pouch. During summer we freeze a pouch for an extra cooler pack, usually we fill ours with yoghurt & its thawed and ready to eat at lunch. My other favourite is pureed fruit & yoghurt. We have a toddler in our house that there’s a constant stream of half eaten fruit all over the house. I cut off the bitten parts, freeze the remaining & then puree as needed.